Today's increasingly computer-based society is dependent on the correctness and reliability of crucial infrastructure, such as programming languages, compilers, networks, and microprocessors. One way to achieve the required level of assurance is to use formal specification and proof, and tool support for this approach has steadily grown to the point where the specification and verification of important system infrastructure is now feasible. To survey the state of the art and discuss future possibilities and challenges, we are pleased to announce a two day research meeting, to be held in honour of Prof. Michael J. C. Gordon FRS on the occasion of his 60th birthday. Micro-architecture Verification, Compiler Verification: What Next? There will also be poster presentation sessions, in which attendees may present their research. Please refer to the technical program for submission information. ETAPS 2008 is March 29 - April 6 in Budapest, Hungary with DCC (Designing Correct Circuits) 2008 as a satellite event on 29-30 March. 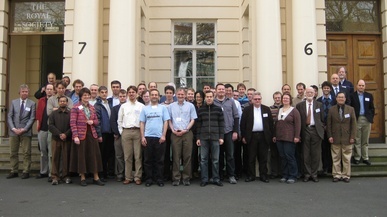 TTVSI is sponsored by the University of Cambridge Computer Laboratory, Galois, Inc., and Lemma 1 Ltd.